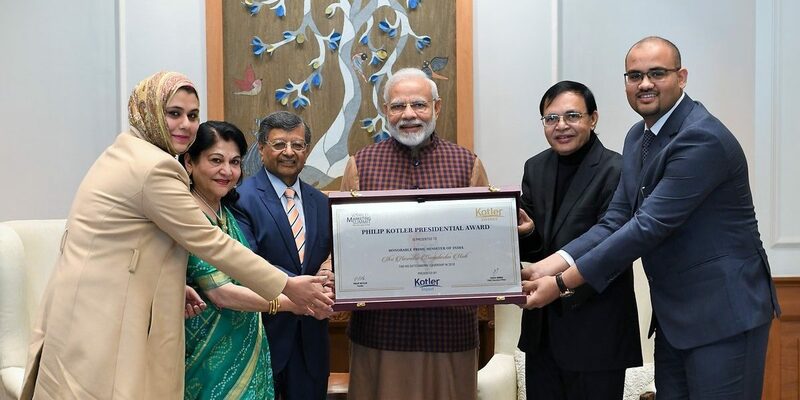 VFMDirect.in: Modi Wins 'First-Ever' Philip Kotler Presidential Award – But What Is it? The World Marketing Summit India is owned by an Aligarh based company ... and their website at https://wms18.com is down from today morning. I just wanted to see the jury, the process, competitors etc but bad luck. Further investigation by The Wire reveals that both the WMS India and Suslence are the initiatives of a Saudi-based team, principally Tauseef Zia Siddiqui, whose online profile describes him as an employee of SABIC – the Saudi Arabian government-owned petrochemical firm, which has been keen to make larger inroads into India’s energy industry. Full marks to the media team which pulled this off... this will go down in history as one of the finest marketing gimmicks at zero cost and zero pain.